Former public protector Advocate Thuli Madonsela was on Tuesday awarded the Order of Merit of the German Federal Republic by German President Frank-Walter Steinmeier. Steinmeier bestowed the honour on Madonsela on the sidelines of a reception at the Cape Town residence of the German ambassador to South Africa and said the country needed more people like her. The German president is on a three-day visit to South Africa and earlier in the day held talks with President Cyril Ramaphosa. He lauded the Ramaphosa government for tackling corruption and supporting efforts to uncover the state capture scandal. 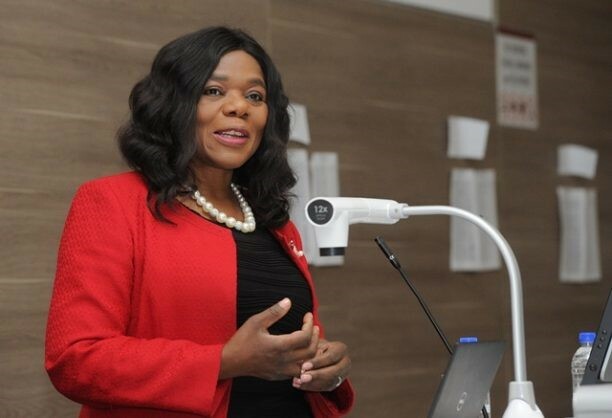 Madonsela’s last report as head of the chapter nine institution dealt with state capture and instructed that the president appoint a commission of inquiry to conduct a full-scale investigation into it.